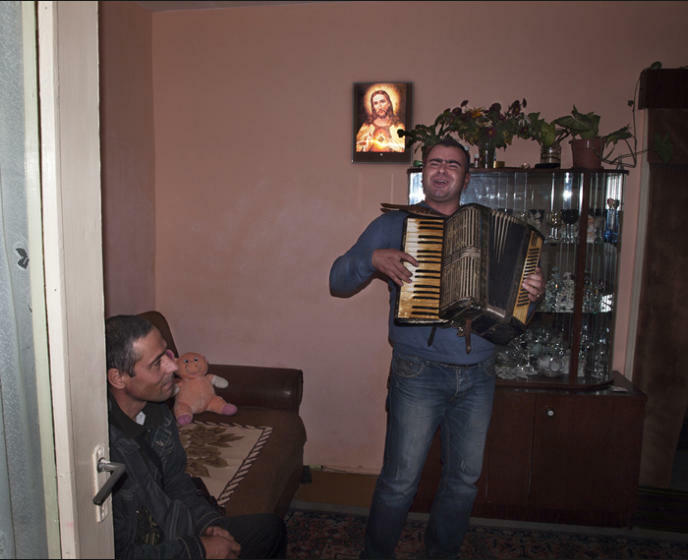 This photo-essay focuses on the community of Gavani in SouthEast Romania. 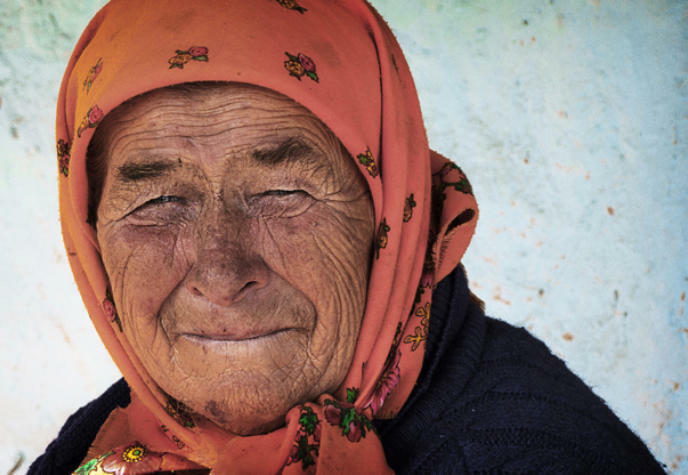 A remote village which 21st Century Europe seems to have forgotten, and where life is hard. The people of Gavani are humble and seemingly happy. There is a stark difference between the activities of the inhabitants, some working long days for a pittance whilst others keep themselves entertained as they watch time go by. Most men seem to fuel their daily activities with the constant consumption of alcohol and cigarettes. 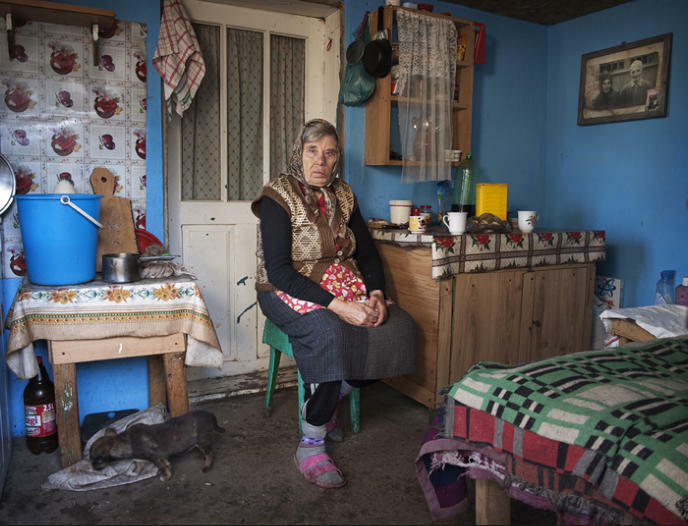 Women look after their homes and their animals, a responsibility they expect to undertake after getting married. The overall impression, however, is that the people are waiting for something to happen, and it is this hope that keeps them smiling whilst going about their daily lives. The intention was to portray the day to day life of ordinary people in the area and capture their smiles and vibrant colourful surroundings, which seem to almost contrast with the prospects and ambitions of these people, which although we might see as mundane or bleak, don't seem to affect their spirit. 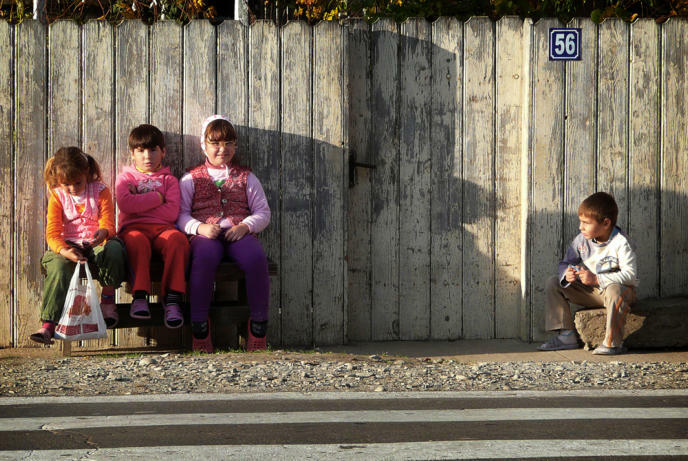 It is worth mentioning that whilst the area is not representative of Romania as a whole, there are undoubtedly several small communities around Europe that share characteristics of Gavani, and that perhaps this is somewhat shocking given the huge divide between the way we live in other, more affluent parts of the European Community. 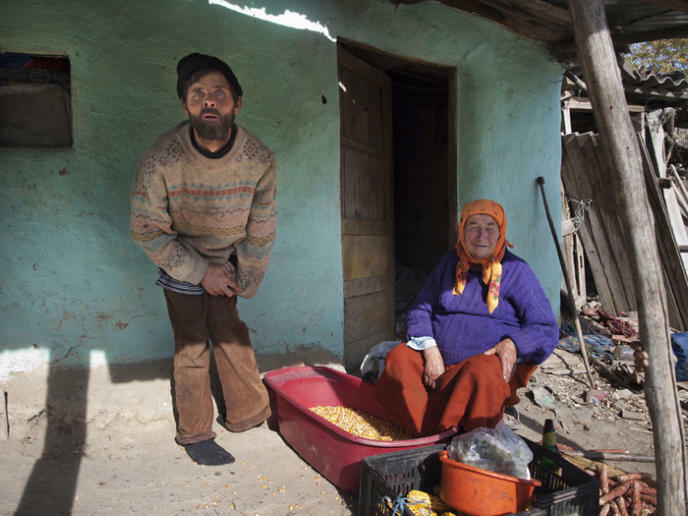 Essentially Gavani appears to be one of the communities forgotten by the passing of time and the "progression" that has occurred in its neighbouring regions. Perhaps this small community can help us appreciate what we lose as society evolves. 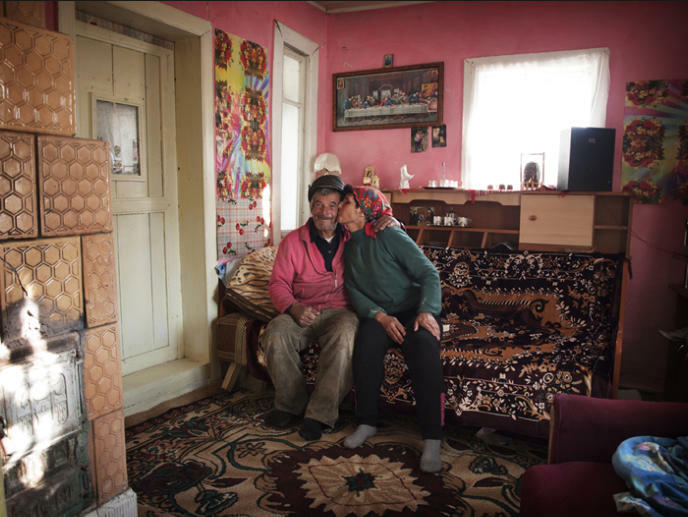 Sandra and her son Ion spend their days enjoying the sun as in their house there is no electricity. 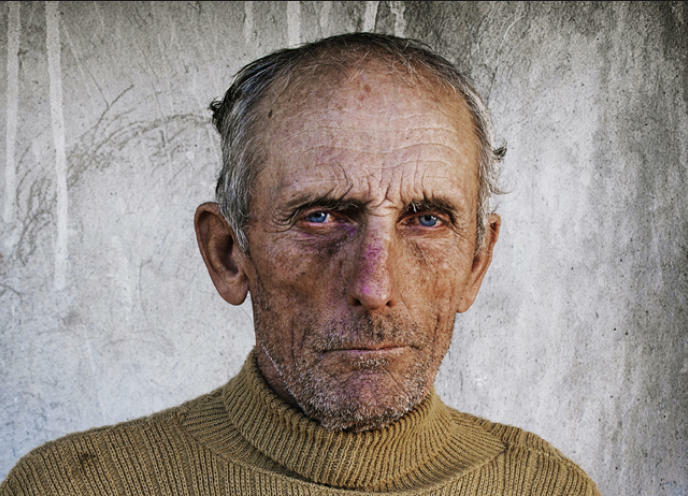 Mr. Stan Bratu, retired military man from The Armed Forces of Romania. 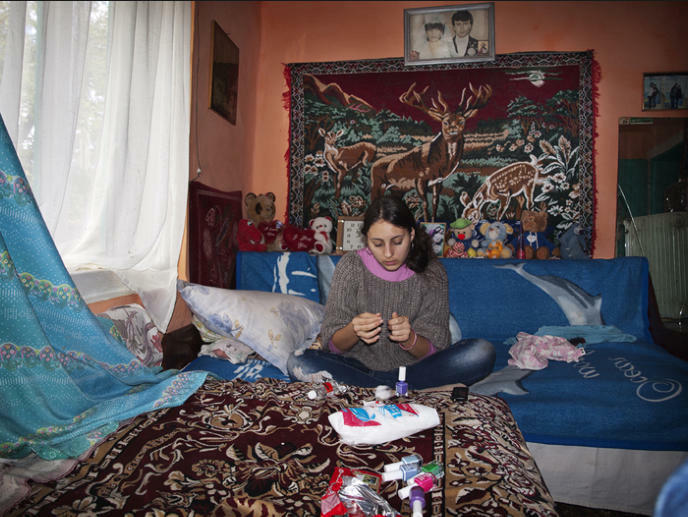 Elena, sat on a stool, amongst a plethora of objects and old souvenirs. 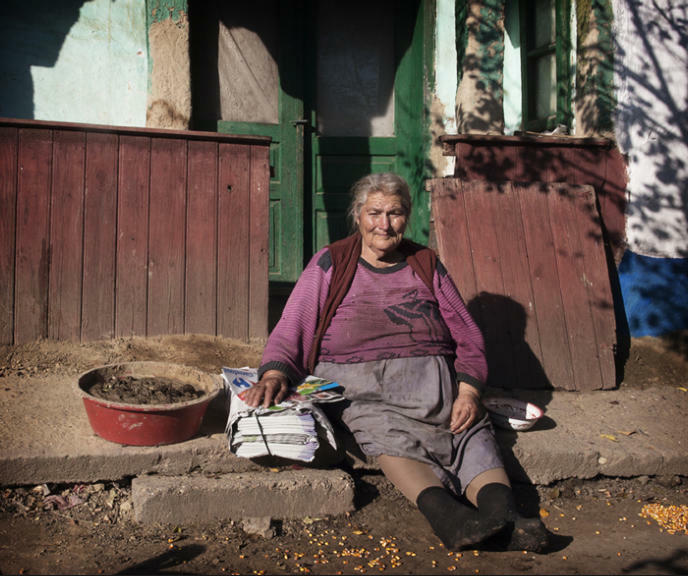 Marioara in front of her house with a pile of magazines and a washbowl full of excrement from the animals, which she mixes with mud to use as cladding on the walls of her house. 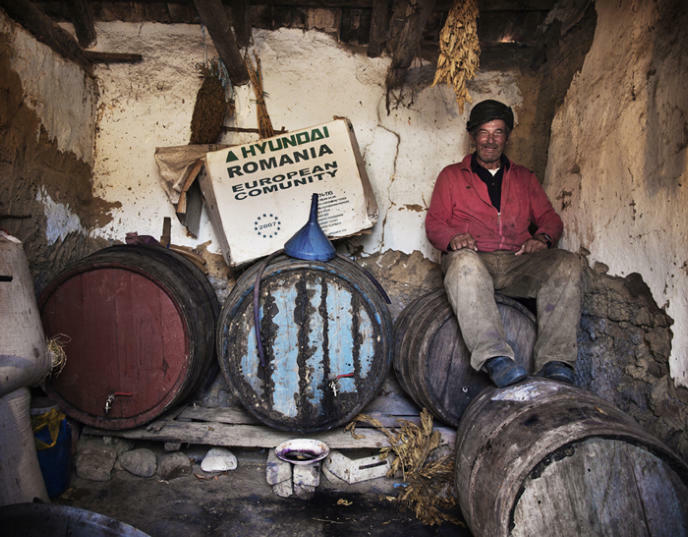 The most precious possession that Mihai has are these barrels of wine, which keep him warm during the sub-zero temperatures of the winter nights. Mariana and her father Mihai. Cory and her sister Ramona kill time as if they were in a beauty salon. 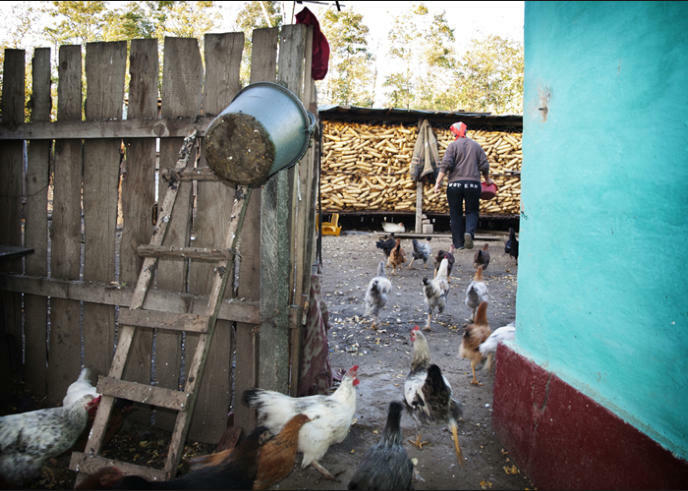 Mariana is in charge of feeding the chickens every day. 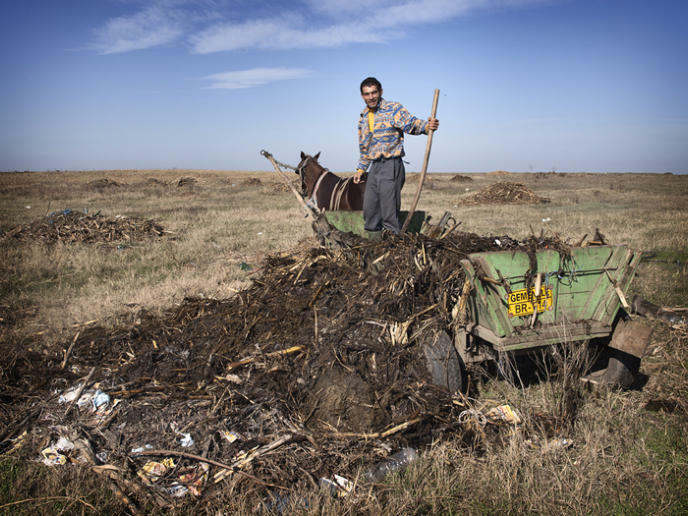 Recycling and the rubbish tip are unknown concepts, everything that is thrown away accumulates in mini mountains in the fields and left to rot naturally in whatever time is necessary. The future of Gavani. Their colourful dresses and plastic pink flip-flops make them perfect miniatures of the adult world. A wedding accordionist prepares for somebody’s big day. Andrea likes to paint her nails in accordance with the colour of her clothes. 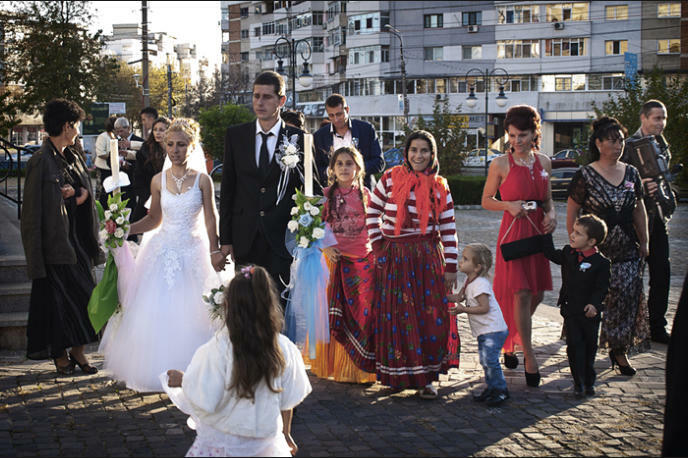 Gypsies begging outside the orthodox church in Braila. 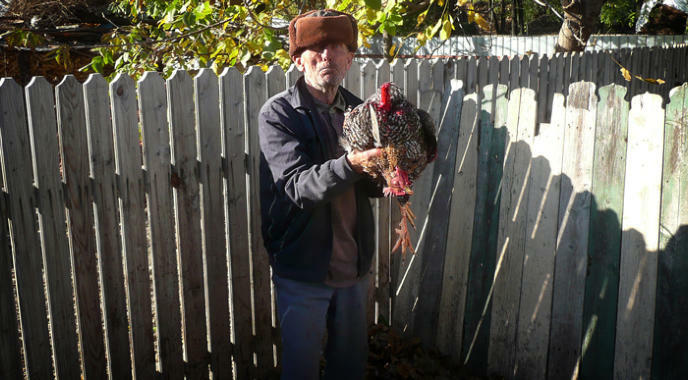 Stan proudly shows off his prize chicken, post decapitation. 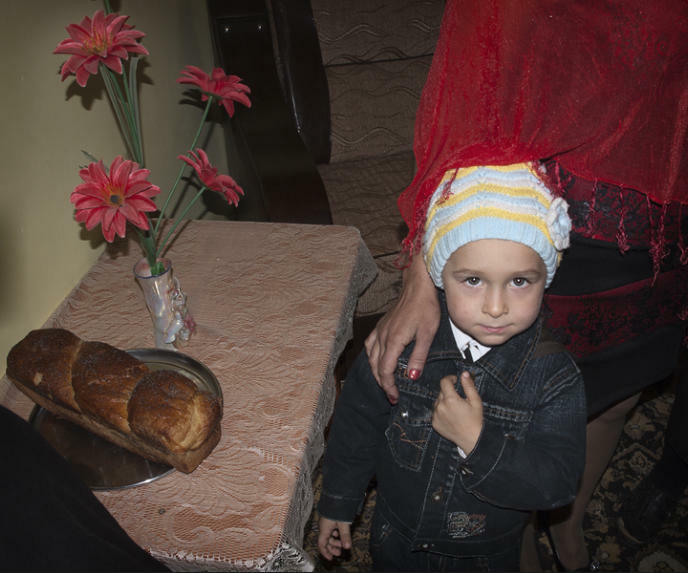 A boy eying up the bride’s lucky bread at the local wedding. 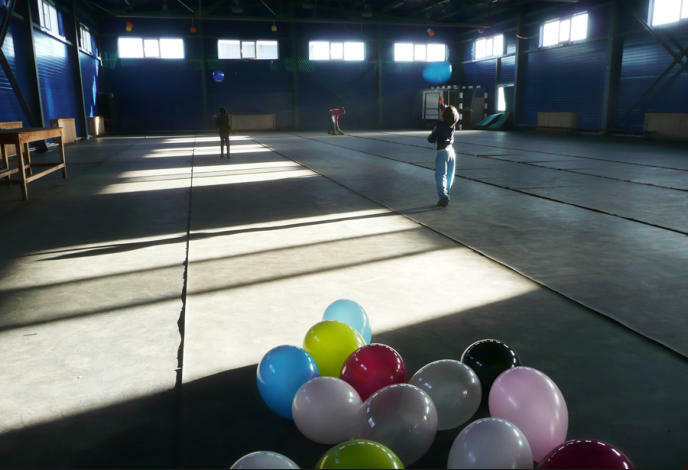 Preparation for the great wedding party.